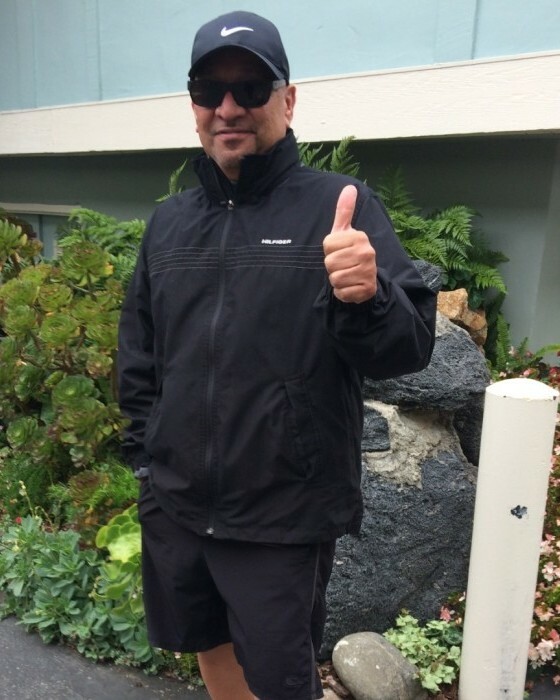 Born on May 10, 1955 in Walnut Creek, Steven Joseph Dominguez, 63, entered into rest surrounded by his loving family on August 19, 2018. Steven is survived by his wife of 15 years Mary Dominguez of Oakdale; parents Frank and Dolores Dominguez, children Vincent Dominguez, Monica Rodriguez (Chris), Kristen Dominguez (Phillip Campos) and Steven Dominguez Jr all of Stockton, siblings Frank Dominguez (Laura) of Hollister, Hilda Medina (Dionisio) and Christopher Dominguez (Julie) of Stockton, brother-in-laws Louie Leonardo (Anne) of Tigard, Oregon and Larry “Buck” Leonardo (Dena) of Manteca. In addition, Steven was blessed with 9 beautiful grandchildren. Steven proudly served his country for 17 years in the United States Army and the National Guard. He worked in professional services as an IT Enterprise Solutions Architect with companies such as IBM, Hewlett-Packard Enterprise and Hitachi Data Systems; he was highly regarded by his colleagues throughout the industry. He enjoyed traveling, landscaping, gardening, home renovation and his strong faith in the Lord. He was a positive role model for all who were fortunate enough to know him. Steven also had a passion for fine automobiles, but truly enjoyed reminiscing with life long friends and relatives (Tony and Rob) about his 1966 Chevy Impala LowRider with hydraulics and rims. Steve was the go to guy, back in the day for anyone who was having trouble with hydraulics. Quality time was extremely important to Steven; he cherished his time spent with his wife, children, grandchildren, friends and beloved pets. P.L. Fry & Son is honored to be serving the Dominguez family. Viewing will be held on Monday, August 27, 2018 from 1 pm to 5 pm at P.L. Fry & Son, 290 N. Union Rd. in Manteca. A Catholic Mass and Burial will be held for family and friends. An online guest book is available for condolences to the family at www.plfryandson.com. In lieu of flowers donations can be sent to Alexander Cohen Community Hospice House 2201 Euclid Avenue, Hughson, CA 95326.